At LightWave Networks, our Boston Colocation Data Center services are trusted by companies throughout the country. The facility was built to be one of the most energy-efficient and powerful in the area, with a wide selection of cloud providers, network providers, information technology providers, and enterprises. Find out more about the data center in Boston, MA – rated #1 for its readiness to foster entrepreneurial growth and creativity in the next wave of the digital economy. This three-story, purpose-built Boston data center facility totals 130,000 square feet, containing approximately 40,000 square feet of raised floor. The data center in Massachusetts is designed to be one of the most energy efficient buildings in New England. With 10 MW of redundant utility power, this highly energy efficient building is designed to be concurrently maintainable for all key infrastructure components. Security Features. At LightWave Networks, all our data centers include 24×7 Onsite Security Personnel with CCTV Camera Systems that have 90+ Day Retention. In addition, Biometric and Photo Badge Access is required of all our personnel to enter the Boston colocation data center. There are multiple diverse fiber and building entrances. In addition to physical security, we monitor your data security day and night. So, if something happens to your data, we get started on restoring it immediately. Built for Stability. The Boston data center is a three-story, 105,731 square foot facility located just 16 miles from downtown Boston. 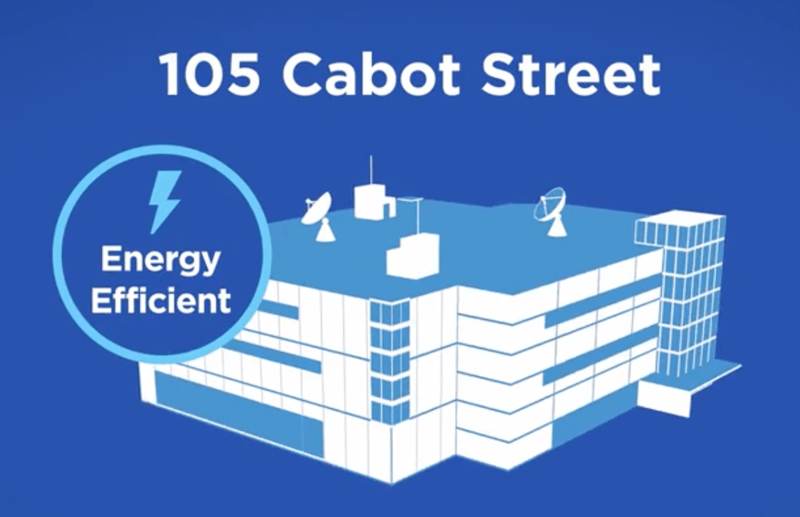 Sitting on a 2A Seismic Zone and outside the FEMA designated 100 and 500-Year Flood Plains, the colocation data center in Boston is built to withstand natural disasters and keep your data secure. The facility features an EPDM insulated metal deck roof and up to 250 lbs./square feet on the floor. We’ve Got the Power. The data center in Boston has a utility Generator Power Capacity of 10 MW, UPS Power Capacity of 6 MW with a 2N Cooling Redundancy. Multiple utility transformers and diesel generators with independent fuel tanks provide the Boston colocation data center with no less than N+1 redundancy. How does this benefit your business? LightWave Networks utilizes secure and energy-efficient data centers that are powerful enough to handle all your network and service needs! The industry-standard data center Tier Classification System developed by Uptime Institute categorizes data centers on a four-tier scale based on site infrastructure performance and operational sustainability . The Boston facility LightWave Networks operates from is a Tier III data center. To ensure the 100% SLA-backed uptime of the Boston colocation data center, it is designed to provide N+1 redundancy and 2N Cooling Redundancy. For these two different redundancy level classifications, N represents the amount of capacity needed to power, backup or cool a facility at full IT load . N+1 redundancy denotes one power backup or additional components to support a single component failure or required maintenance. On the other hand, 2N cooling redundancy signifies a fully redundant, mirrored cooling system . The full redundancy of the data center in Boston guarantees the security of your data. At LightWave Networks, the data centers we use are supported by a strong Network Ecosystem connecting more than 40 digital realty-owned data centers throughout North America. These facilities, and therefore our customers, benefit from connectivity to more than 1,000 provider networks, multiple Internet Exchanges, Open IX Peering Exchange, and Ethernet Exchange. LightWave Networks offers a wide range of colocation, server, and cloud computing services from the Tier III Boston data center. Our hosting company provides customized data center services to all kinds of businesses regardless of size. From small businesses to Fortune 500 companies, all our customers have equal access to our energy-efficient and secure colocation servers. No minimum service package is required if you choose to rent server space from the data center in Boston, MA.